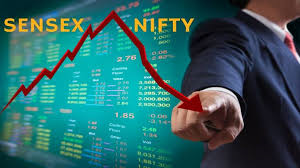 Indian market witnessed a selloff in the last two trading session of the week which pushed benchmark indices below crucial support levels largely on weak global cues. Timing is everything and Morgan Stanley’s chief equity strategist Mike Wilson is telling investors that they need to get out of stocks right now even if the market still has some upside potential. “Maybe the bull ride since Dec. 24 has not gone a full ‘8 seconds’ but we’d look to dismount anyway—we’re close enough and bulls can be dangerous animals,” he said in a report, referring to the number of seconds a bull rider is required to stay on to earn a score for a ride. North Node has changed its motion again from the 28th Jan. to 5th Feb. 2019 and there you are with its on being on the steering wheel of the Stock and the Financial Markets as predicted. Much More to come wait and see. Before the Economy Break there may be a surge in the financial Markets also which may look like there is no recession but it will be the other way round . From the above it is clear that the brawl between the 2 big economies of the world may take an ugly shape and Global Recession comes through. Strong Roller coaster rides are not ruled out, even if the markets rebound for some time they are bound for fall . Wait and see for yourself the months March-June 2019. Watch the dates after 23rd March, 29th March, 23rd April, 14-17th June and then 17th July 2019 and the Time frame when Rahu is also in adverse motion around the above dates . Saturn is also completing its 90 year cycle from 24th Oct. 1929, it has already given results of the 60 year cycle from the June 1958 when there was an abnormal surge in the Stock and the Financial Markets and Saturn was first Fallen and when it went back in Sagitarius the Markets dropped . A similiar Scenario is on the Cards . The Trade war seems to be taking an ugly shape soon as already predicted by me . Even if the Markets rebound for some time frame they will break and then the most ugly scene. It is Possible that Markets may rise and may seem that what ever is predicted is false . North Node is capable to do this and create a foggy picture of any thing and specially the Stock Markets and capable of turning the Glass full of water upside down.